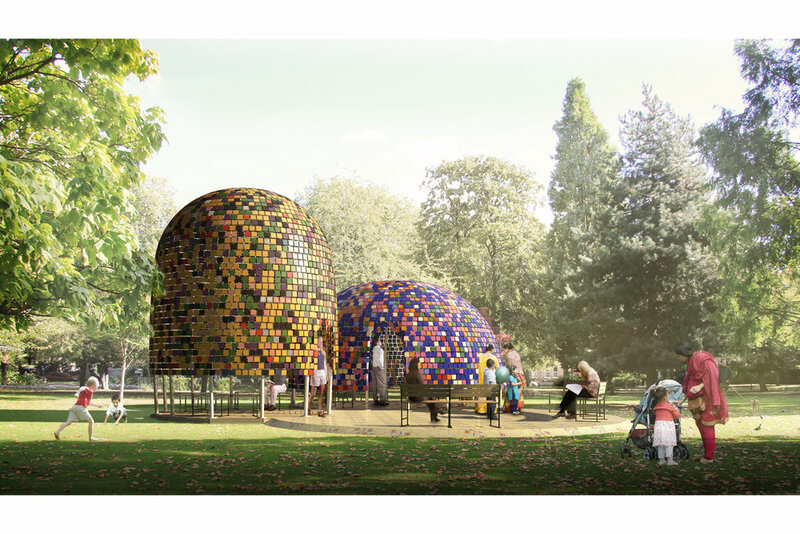 The brief was to design a temporary showcase Pavilion to be installed in the Museum Gardens, next to the V&A Museum of Childhood. The main topic was the “Infusion”, an interpretation of creative usage of tiling materials into the design form. 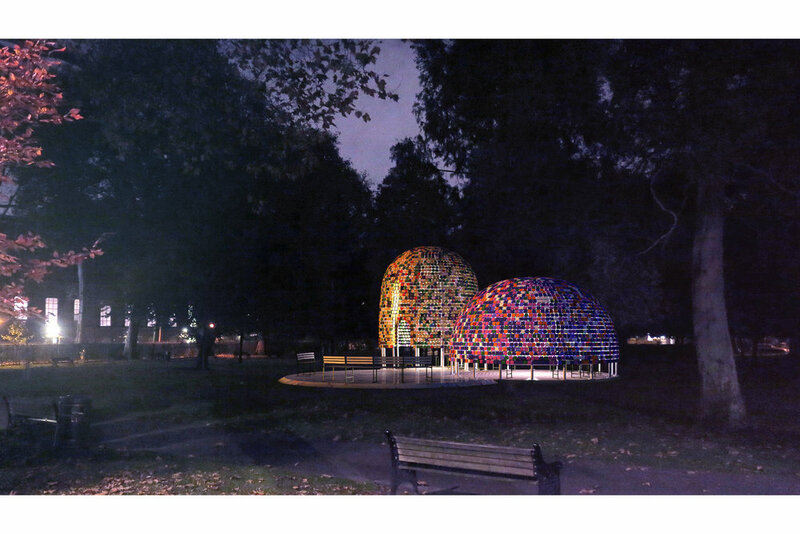 In our proposal, the fusion of the typical Victorian bandstands with the mastefully decorated domes of the Tombs of Sheikh Safi and Shah Isma’il I in Ardabil, allowed us to get to define what the Triumph pavilion could be for us: two domes with different characters, sizes and proportions lined with ceramic tiles coloured on both sides where the visitor can access, stop for a chat or simply enjoy the atmosphere + one platform paved with hexagonal tiles acting not only as access to the pavilions, but also as a third place where people can talk, listen, play, dance. We intended this composition as a fusion between different cultures that strongly represent London and all its imaginary as a multicultural city - a place of strong artistic relationship between East and West, in the past history and nowadays.